A DUI arrest sets into motion two separate cases. The administrative case is completely independent of the criminal case. The arresting officer will issue a DUI citation with a scheduled court date for the criminal case. However, the arrest will actually initiate both cases. While the criminal court date (arraignment) may not be for several weeks, there are only ten days from the date of the arrest to request an administrative hearing to contest the administrative suspension. Further, the DUI citation will often serve as a temporary driving permit for ten (10) days. Historically, by requesting an administrative hearing, this right to drive for business purposes could be extended for several additional weeks. As of July 1, 2013, the rules regulating administrative suspensions for DUI arrests has changed. Certain individuals arrested for DUI after July 1, 2013, may now automatically qualify for a hardship license during the entire term of the administrative suspension by waiving their right to an administrative hearing. Unfortunately, not all individuals will qualify for the automatic hardship, and for those that do, this option will carry its own consequences. It is advised that you consult with an experienced DUI attorney to discuss the benefits and consequences of the amendments to the Florida DUI administrative penalties. An experienced Naples or Ft. Myers DUI attorney can attend both cases to assure that your rights are protected. If you have been arrested for DUI in the State of Florida and would like to contact a DUI Attorney in Naples or Ft. Myers, Florida, please call 239-775-1004. Consultations are absolutely free and completely confidential. Have you been arrested for DUI in Florida? If you have been arrested for DUI in Florida, you face serious consequences. It also means that you are facing two separate cases: 1) a criminal case that is prosecuted by the State of Florida; and 2) an administrative case initiated by the Department of Highway Safety and Motor Vehicles (DHSMV). Each case carries its own penalties, for example, a person’s driver license will be suspended administratively, and then again at the completion of the criminal case, it will likely be suspended again. You should consider consulting with an experienced Naples or Ft. Myers DUI attorney immediately if your charges are pending in Collier County, Florida. Substance abuse evaluation, followed by any recommended treatment. If the person’s BAL (blood alcohol level) was a .15 or greater or there was a minor in the vehicle, an ignition interlock device installed on the vehicle for up to six (6) months. The criminal penalties for subsequent DUI convictions increase substantially. For example, a second conviction within five (5) years of the first (not involving a crash) will require mandatory jail, higher fines and a five (5) year driver license revocation. For a FREE and CONFIDENTIAL consultation with an experienced Naples or Ft. Myers Attorney, please call (239) 775-1004. What does the State have to prove to convict me of DUI? 2) While driving or in actual physical control of the vehicle, you were under the influence of an alcoholic beverage or a chemical or a controlled substance to the extent that your normal faculties were impaired, or had a blood/breath alcohol level of .08 or more grams of alcohol per 100 milliliters of blood/210 liters of breath. If I blew below a “.08” can I still be charged with a DUI? Yes! 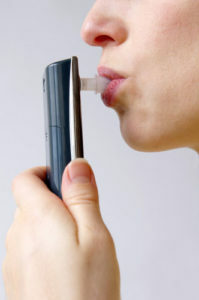 Proving a blood alcohol level (BAL) of .08 or above is just one way the State can prove a DUI. However, even if a person’s blood alcohol level is below a .08 or you refused to submit a sample of breath, the State will succeed if they can show that you consumed alcohol and/ or chemical or controlled substance to the extent that your normal faculties were impaired. The State will use the testimony of the arresting officer along with other evidence such as your performance on field sobriety exercises that may have been captured on the video from the patrol car. Sometimes, other evidence may be used such as urinalysis results if a urine sample was obtained at the time of the arrest. This means that the .08 presumption may be contradicted or rebutted during trial. Furthermore, a skilled DUI lawyer will analyze the entire investigation and file the appropriate motions if law enforcement violated any of your constitutional rights. For example, if law enforcement did not have a valid reason to stop your vehicle, then all subsequent evidence gathered after the stop may be suppressed leaving the State insufficient evidence with which to prove the case. Can I be convicted of DUI if I’m under the influence of drugs instead of alcohol? Absolutely. One can be convicted if the State can prove that the individual is under the influence of “an alcoholic beverage or a chemical or a controlled substance” (emphasis added). This includes both illegal substances such as Cocaine or Marijuana, as well as, prescribed medications such a Xanax (alprazolam). The most common scenario involves individuals that consume alcohol while taking prescribed medication. The two can have a synergistic effect (commonly described as “1+1=3”), meaning that the effects of just a small amount of alcohol, which normally would not cause noticeable impairment in a person, may actually be amplified by the presence of certain drugs or medications leading to severe impairment. How does the State usually prove that someone is guilty of DUI as a result of drugs or medication? Typically, a Drug Recognition Expert (DRE) will be called to assist with the investigation. A DRE is a law enforcement officer that has undergone additional training in the detection of impairment caused by drugs. The DRE officer will first require that the individual provide a breath test to detect the presence of alcohol. Afterwards, the DRE will subject the driver to a battery of tests and will obtain a urine or blood test. Finally the DRE will prepare a detailed report that contains his opinion as to which drug category is the cause of impairment. If the urine or blood test is positive for the presence of a certain chemical or controlled substance and that substance is consistent with the drug category predicted in the DRE’s report, the prosecutor will likely argue that the driver was under the influence of that substance. What happens if the officer does not have a valid reason to stop my car? If law enforcement stops a vehicle without a lawful reason, a qualified DUI lawyer may file what’s known as a “Motion to Suppress.” In order for law enforcement to lawfully stop a vehicle, the officer must have probable cause that a traffic offense was committed or reasonable suspicion that either a crime is being committed or that the driver is ill, tired or impaired. For the officer to have probable cause that a traffic offense was committed, an officer must witness the driver commit a traffic offense. Examples of traffic offenses that are valid grounds for a traffic stop may be speeding, running a stop sign, running a red light, stopping past the white stop bar, etc. Quite often in DUI arrests, an officer will stop someone for a traffic infraction and subsequently develop a suspicion that the driver is impaired upon noticing signs of impairment such as bloodshot eyes, odor of alcohol, and slurred speech. Another lawful purpose for stopping a driver is if the officer has reasonable suspicion that either a crime is being committed or that the driver is ill, tired or impaired. For example, the officer may notice by the license plate that the vehicle is not registered or that the registration has expired, which may be charged as a crime. Another example would be if the officer sees that the vehicle is swerving in and out of its lane of traffic and believes based upon his training that the driver is impaired. Not all traffic stops are legally valid! In a DUI case, it is important to thoroughly review the basis for the stop to determine if it was lawful. If the officer did not have a valid reason for the stop, then all subsequent evidence gathered after the stop may be suppressed leaving the State insufficient evidence with which to prove the case. This would include all observations that the officer made of the driver such as bloodshot eyes or slurred speech, the field sobriety exercises and even the results of the breath test. To contact a DUI lawyer in Naples or Ft. Myers, please call 239-775-1004. What can I expect if I’ve been arrested for DUI in Naples or Ft. Myers, Florida (Collier County)? If you have been accused of drunk driving or DUI in Collier County, Florida and would like to Contact a Naples or Ft. Myers DUI Defense Attorney, please call 239-775-1004. Consultations are absolutely FREE and completely confidential. The Law Offices of Verderamo Nunez are committed to providing legal representation primarily in the fields of criminal defense and personal injury law. While our office are situated in Naples and Ft. Myers, Florida, we proudly represent clients throughout Collier and Lee Counties and their surrounding areas, including, but not limited to, Naples, Fort Myers, Bonita Springs, Estero, Cape Coral, Golden Gate, Immokalee, Lehigh, and Marco Island.